Just the other day, I was listening to a podcast about the language we use to talk about love. The presenter was suggesting that because so many of our romantic expressions have connotations of pain and suffering, it influences our view of the experience itself. Think about it: we talk about being “heartSICK” and “having a CRUSH” on someone, “BURNING with passion” and “Smitten,” which comes from “SMITE,” a word often used to represent the vengeance of an angry God in the Bible. But maybe we don’t have to think about love in these terms. What if we talked about love in terms of discovery? Or science? Or food? Or fun? I know that I LOVE the DISCOVERY of new FOOD combinations, and that Babe Restaurant in Damansara Heights LOVES to fuse SCIENCE with FUN when it comes to their menus. After sampling their 10-course degustation menu in honor of the annual celebration of love coming up in February, I think I may need to invent a whole new vocabulary! No words of pain and suffering will describe this experience. 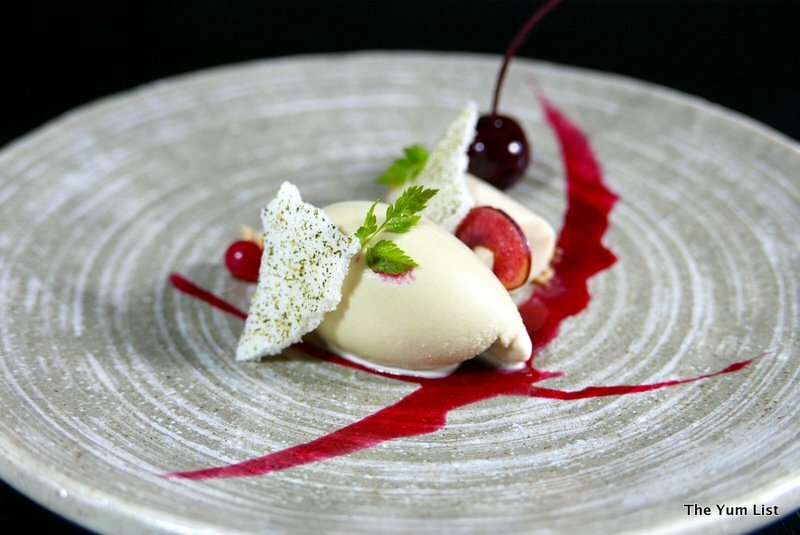 Instead, science and passion fuel the playful and sublime sharing menu prepared by Michelin-starred chef Jeff Ramsey. 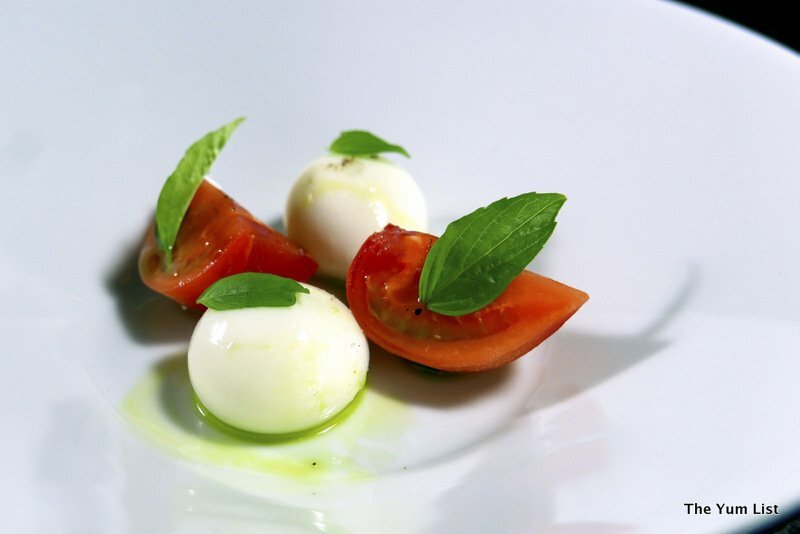 Our meal literally detonates with the Caprese Mozzarella Explosion. Two molecular cheese balls pop, then erupt into an intense fusion of basil and mozzarella. Lightly bathed in olive oil, and chased by a bite of Japanese heirloom tomato, these bombs make my taste buds ring with lingering notes of the basil for minutes afterward. For those new to molecular gastronomy, let me say that these “cheese balls” are NOTHING like those served at cocktail parties in the 1970s. 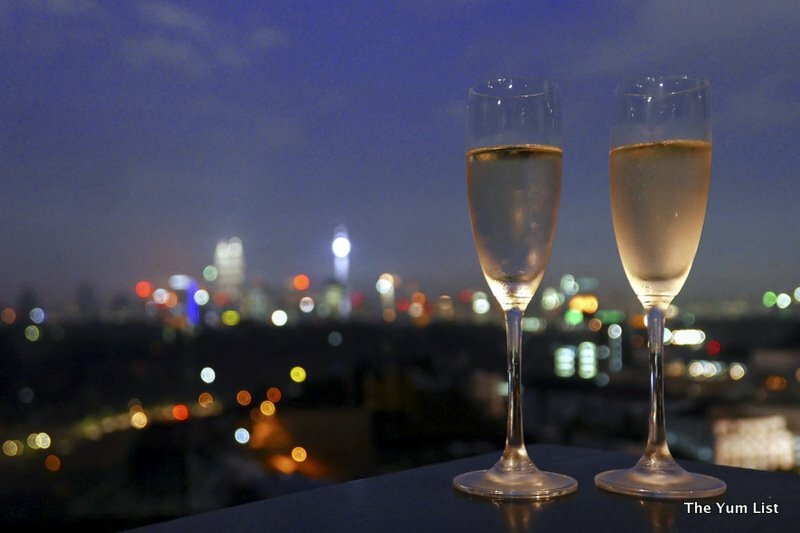 Accompanied by the complimentary flute of sparkling wine, any thought of a mediocre evening is annihilated. If the cheese balls are “da bomb”, the O-Toro Tartare and Wasabi Shio Koji are the blast. 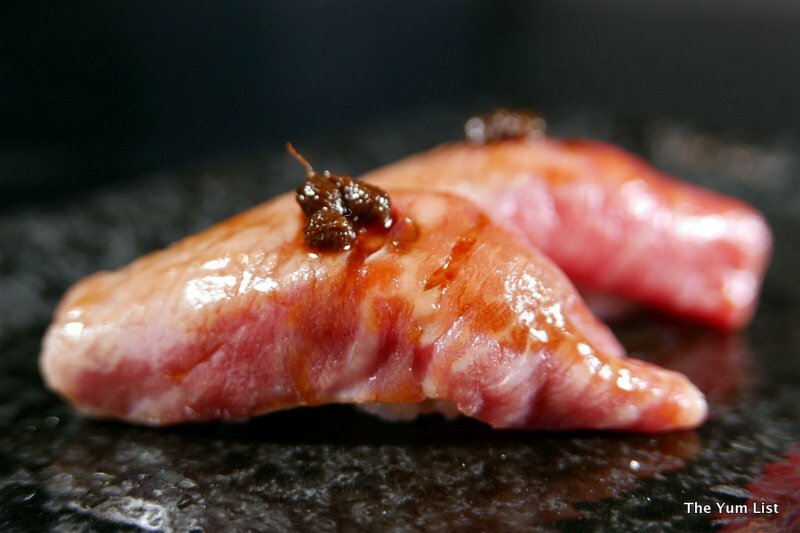 Handheld shells are stuffed with marinated bluefin tuna belly that’s been stoked by a little soy sauce jelly and minced onion. 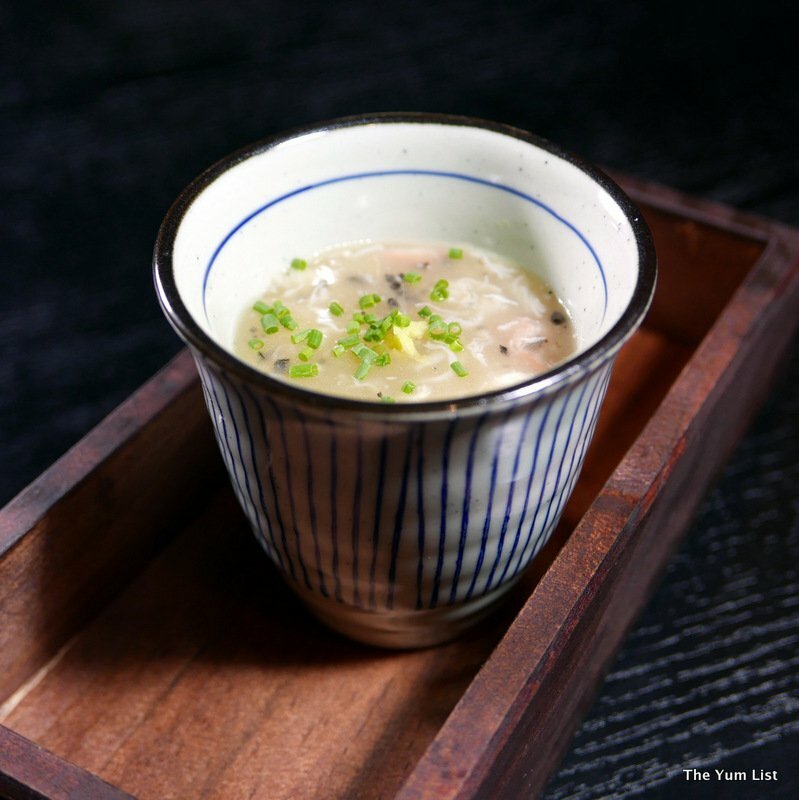 The housemade shio koji fans the umami in the dish for a perfectly balanced biting. 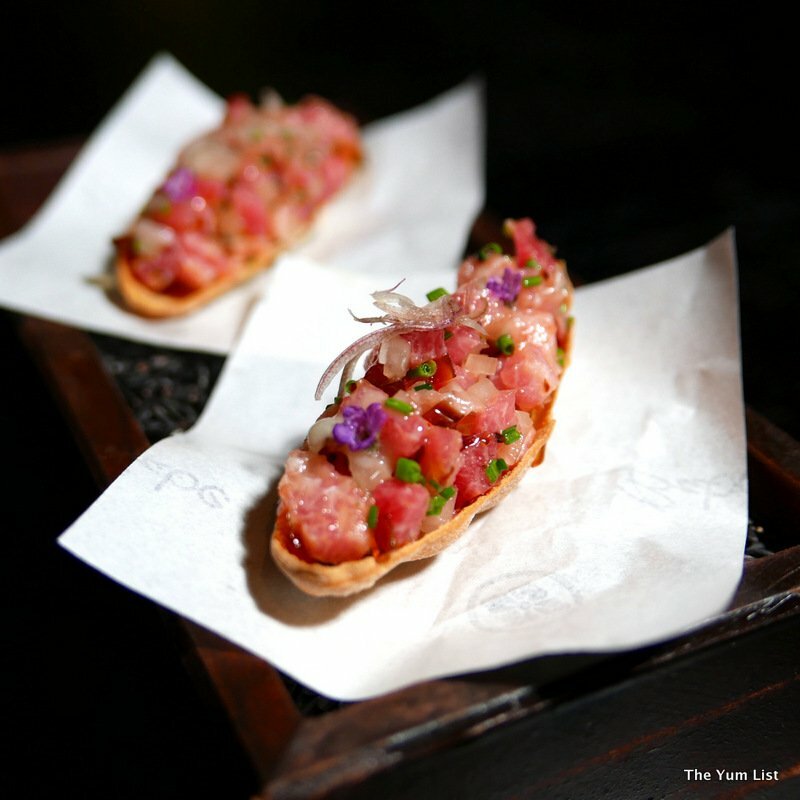 Born to an American father and a Japanese mother, you might expect Chef Ramsey’s skill set to cross international borders, but perhaps not a third course where Japan meets… Mexico! 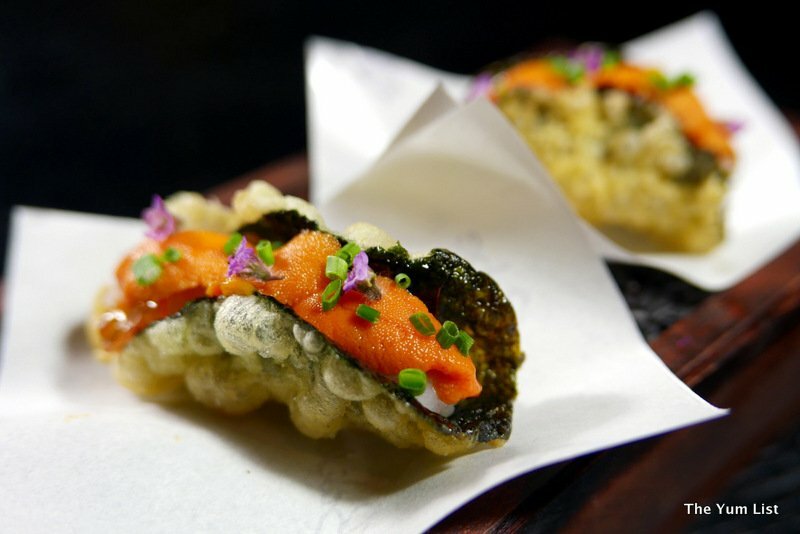 With the Mini-Crispy Uni Tacos, nori seaweed is tempura-battered and fried into a little taco shell filled with a little sushi rice, a little wasabi, a little sea urchin and a big flavor of dashi soy gelee. Course four, the Two-piece Special Nigiri Sushi, is a double-dipper: surf-and-turf Japanese-style. 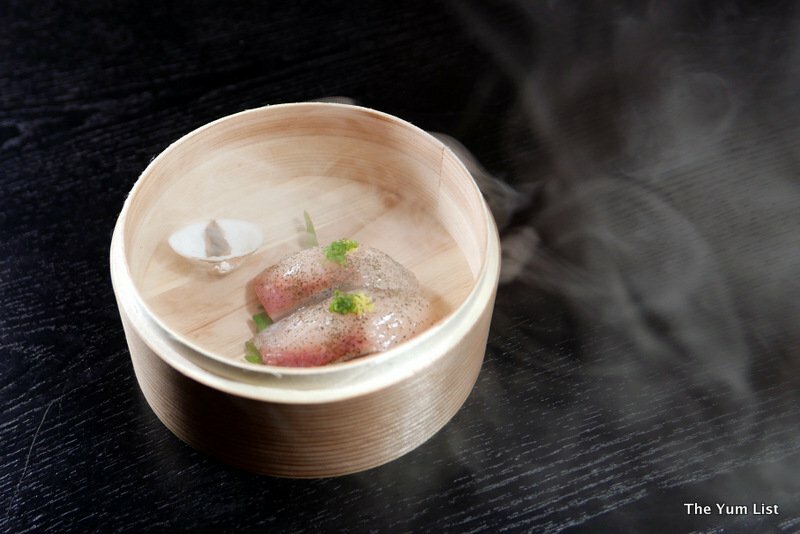 Under cover of thousand-year old cedar smoke, Hamachi arrives in a little bamboo basket for part one. 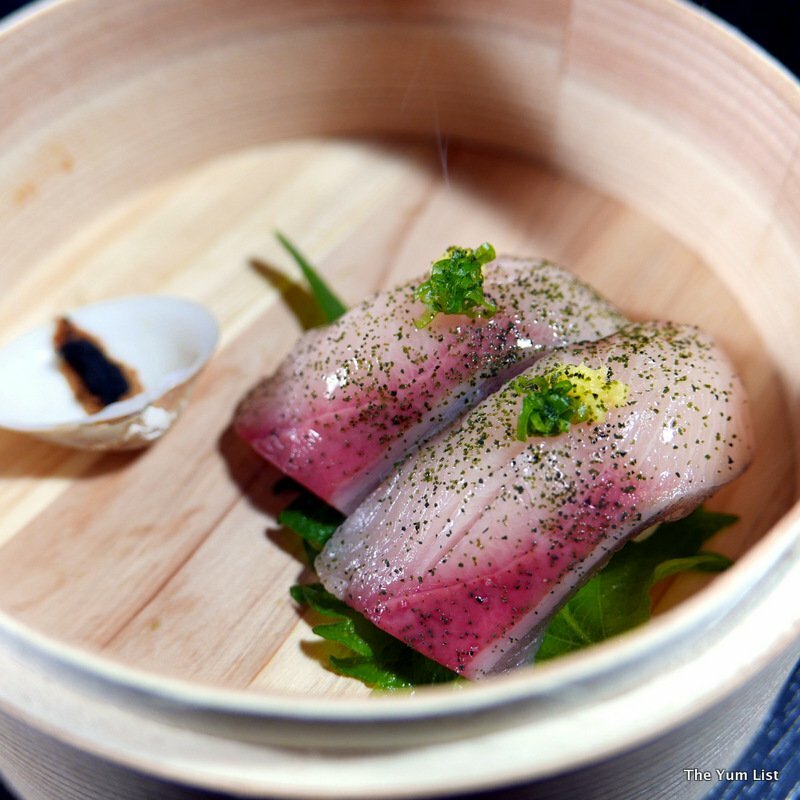 The flavors unpack themselves in four creases: First, fragrant smoke, then the subtlety of the yellowtail, then the little sweet and little citrus of umami magic at the end. Part two is Wagyu Nigiri, super tenderloin served half-seared, half raw. The sansho tsukudani glaze leaves citrus and pepper lingering on the palate for some time afterward. As the chef himself asserted, “At Babe, we like to up the umami factor.” Mission accomplished. Nearly any custard is richness personified, but the Black Truffle and Alaskan King Crab Chawanmushi shifts the scale from millionaire to billionaire. 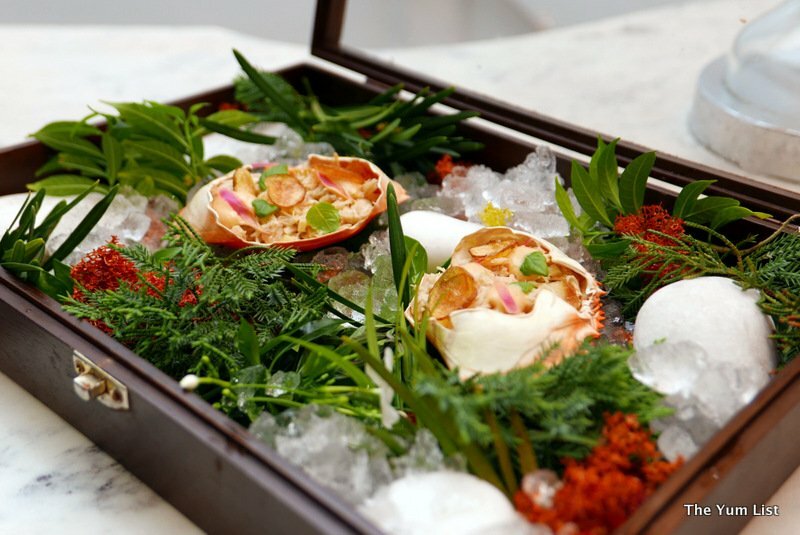 Let’s be honest, the presence of truffles always counts for cash in the flavor vault, but add chunks of crab brightened by ginger, and you’ve got a dish that will carry itself to the bank in a gilded carriage. Comments about the importance of size notwithstanding, it is hard not to be impressed by the Grilled Hiroshima Oyster, indeed the biggest of its kind that I have ever laid eyes on. 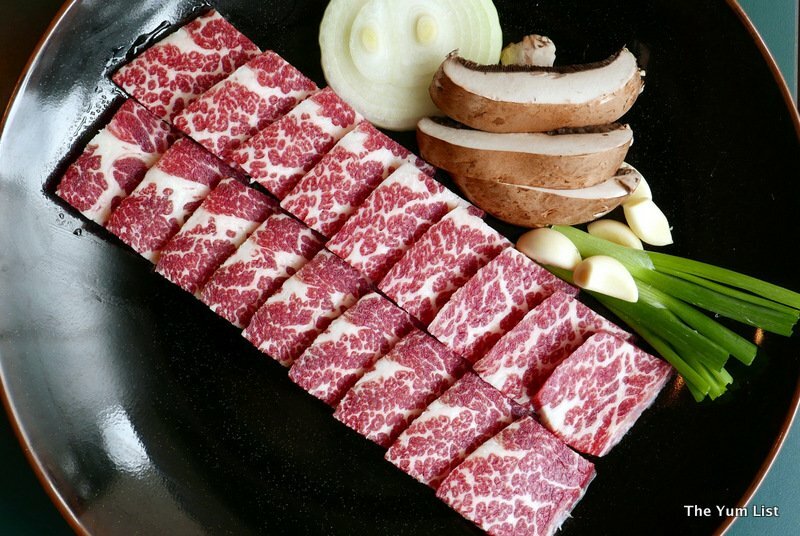 Not to be swallowed whole, the meat is cut into two pieces and enhanced by Yuzu Kosho Tama Miso, sweet and salty with a peppery kick at the end. 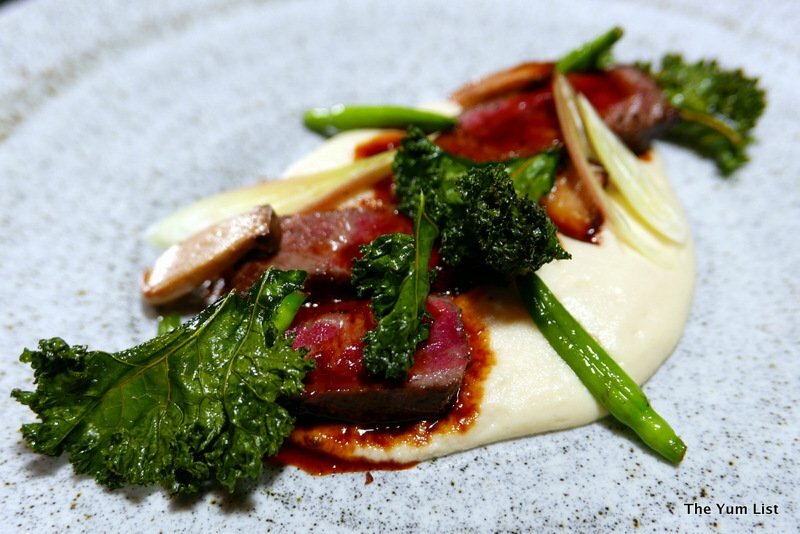 On an aerated pillow of celeriac puree softened with cream and butter lies course seven, the Marble Grade 9+ Wagyu Steak with Kurozato Jus. The black-tie plate of the evening, crispy roasted kale and lily buds adorn tender slices of beef, tangy and sweetened with a little black sugar. A fish option is also available in place of the beef. No course brings science and fun together better than the Rose Nitro Puffs. With a tagline on the menu, “Take my breath away,” what would you expect? 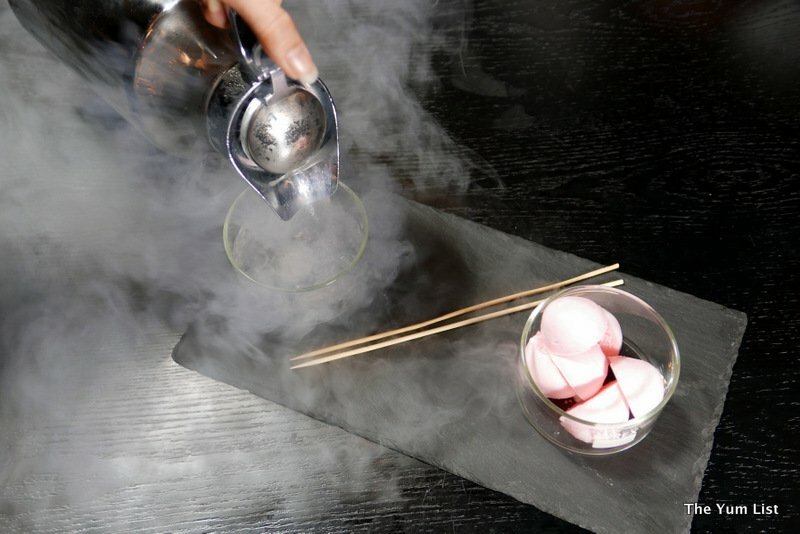 Rose-flavored meringue puffs are dipped in liquid nitrogen and popped into your mouth using a long bamboo stick. Smoke-filled giggles emerge as your friends snap photos of you looking like Puff the Magic Dragon. 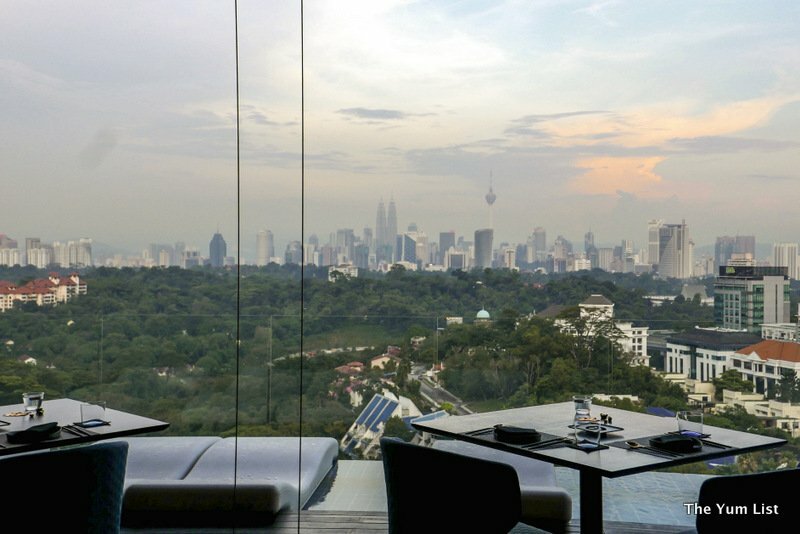 We thought the views of the KL skyline would provide the best photo ops of the night. We were wrong. In Japanese, ‘Betsubara’ is a term that means ‘second stomach’ and is reserved for those occasions when you should leave room for dessert. This is one of those occasions. First Love is course nine, an artfully displayed array of cherry chocolate, almond crumble, toasty genmaicha ice cream and mochi panna cotta. Rose orange blossom sauce slashed across the plate adds vibrancy in both color and flavor. 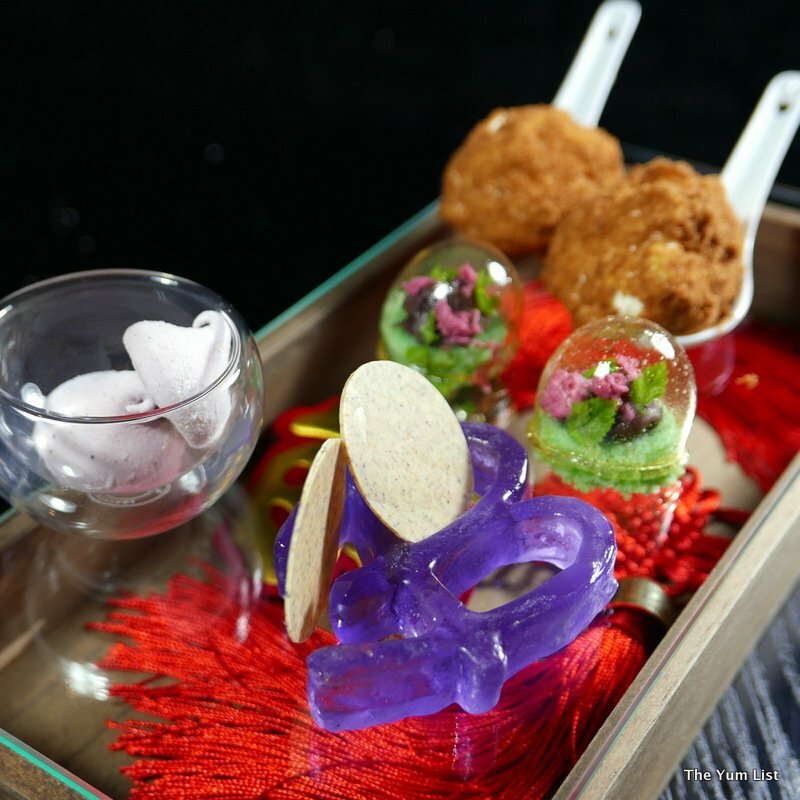 To finish off the evening, Babe fortifies its guests with a set of Petit Fours, not your mother’s jam-filled white cake, but items like orange and juniper fizzy discs and edible terrariums. These changeable menu items wrap the bow on a stellar gift of a meal. 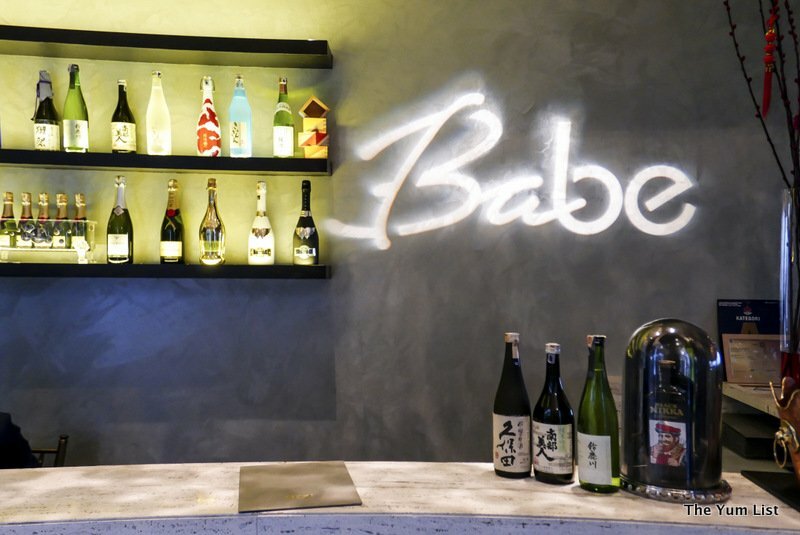 Fueled by such a passionate love of food, fun, and attention to detail, I can’t think of a better place to celebrate a day like Valentine’s than at Babe. With words like chawanmushi, kurozato, and genmaicha, I think I have found my new “love” vocabulary. Might have to be careful about calling my husband a “betsubara,” however. But in the spirit of the fine molecular cuisine presented at Babe, on Valentine’s Day I might just ask to invent some chemistry or physics of our own. In general, Babe pours two house reds, two house whites, and one dessert wine. Newly-renovated Babe is open Tuesday – Sunday from 6:00 pm, with dinner seatings at 7:00pm and 8:30pm. They have recently added a la carte options to their classic tasting menus.The Valentine’s menu is available February 10, 11, 12, and 14. 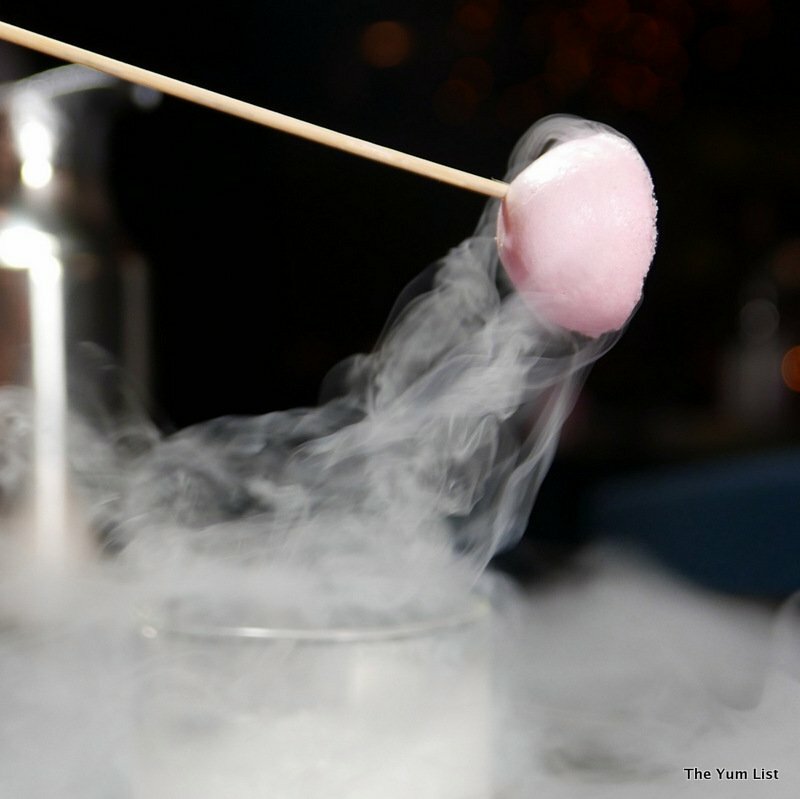 Reasons to visit: The finest display of molecular gastronomy available in KL and a dynamic menu for Valentine’s Day. It looks all very interesting. End of the month I’m going to see my oldest son and I been looking at Korean and Japanese eating place. In hope I can try one. Ooh, let me know what you think. Korean is often more spicy than Japanese – so that might be a factor in your decision. Love is in the air! Less than two weeks away! Seems one celebration is over and another begins. The food is well presented and many of the photos make my mouth water at the thought. I love your last photo of the bubbly and bubbling lights in the background. Lots to try here! It’s a fun experience with both food and setting. Very nice, like the last dish..
Lovely food presentation. The desserts attract me! Oh yes, the desserts were loads of fun! 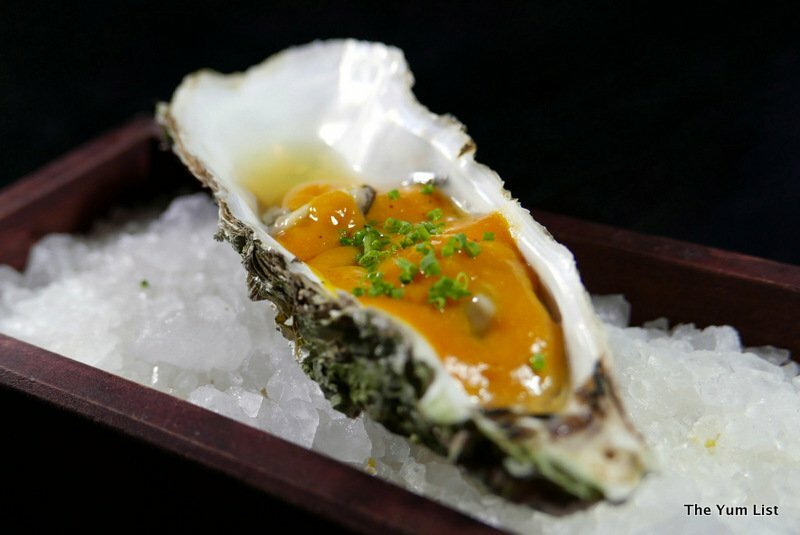 Grilled Hiroshima Oyster looks Great.